During its history, the Association has published many works ranging from historical treatises to books on Devon flora and caravan holidays on Dartmoor. Some of these are still available for sale. Contact the Registrar if you are interested in making a purchase. We also have a small stock of items published by other organisations that are available for purchase – see the bottom of this page. Laver, M. 1994. 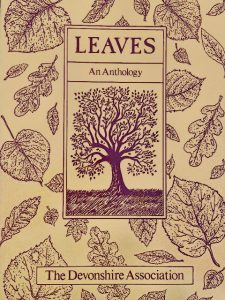 Devon Dialect: A set of two tapes, with notes. Tape 1 (52 minutes) provides an introduction to dialect grammar; Tape 2 (60 minutes) gives an A-Z of vocabulary. Together they provide a lively and informed presentation of the basis and sound of the county’s native speech. Currently unavailable, but work is in progress to reissue the recordings on CD. Contact the Registrar if you are interested. Laver, M. 1997. Devon Voices. Originally a cassette tape, now available as a CD (54 minutes). The disk explores the changing nature of dialect as spoken in the county in the 1990s, using the recorded voices of Devon people. In his commentary Murray Laver explains what dialect is and illustrates the particular aspects of Devon dialect that make it unique. The CD is available by special order from the Registrar. Russell, P. 1963. 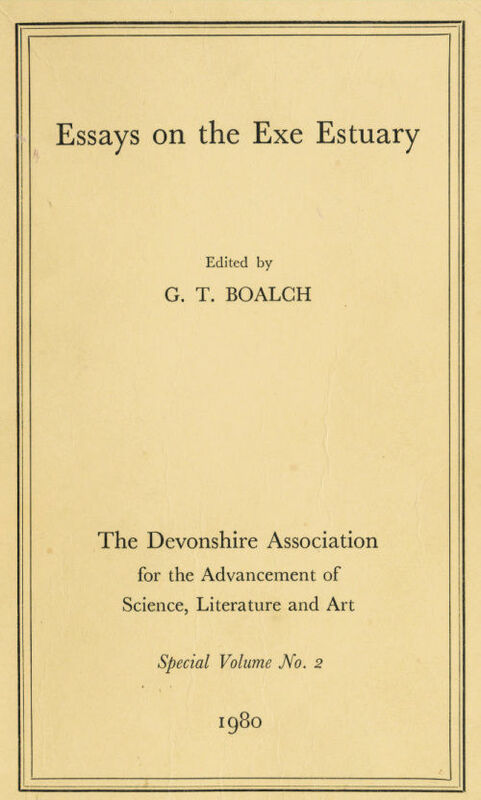 The Good Town of Totnes (reprinted with an introduction by Masson Phillips, E. N. 1984). Gray, T. (ed.) 1998. 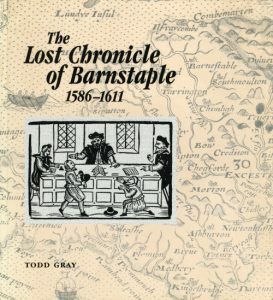 The Lost Chronicle of Barnstaple, 1586-1611. 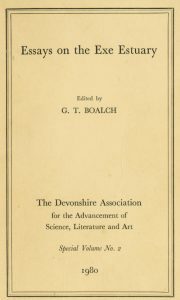 Devonshire Association, 118 pp. ISBN 0 85214 063 0. Morris, R. Burnett 1940. The Burnet Morris Index. This was prepared between 1914 and 1940 and contains over one million card records arranged in three sections relating to Devon Persons, Devon Places and Devon Subjects. 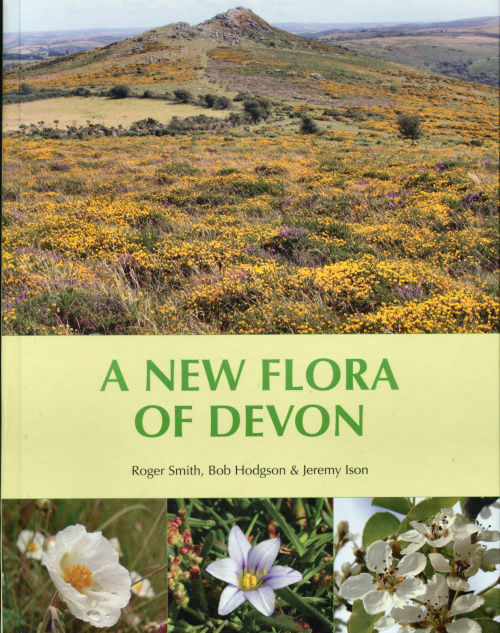 It is held at the Devon Heritage Centre, Sowton, Exeter. Fursdon A. A. 1952–69. General Indices to the Transactions 1862–1968. 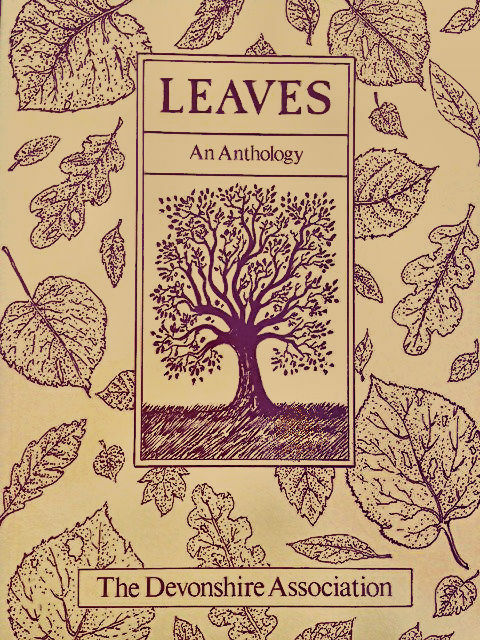 Comprising four volumes: Vols 1–60, 1862–1928; Vols 61–70, 1929–1938; Vols 71–80 1939–1948; Vols 81–100, 1949–1968. Carpenter, A., Carpenter, J., & Jarram, T. 2007. 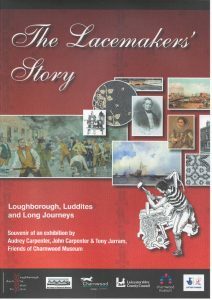 The Lacemakers’ Story: Loughborough, Luddites and Long Journeys. Friends of Charnwood Museum, 32 pp. ISBN 978-0955626807. 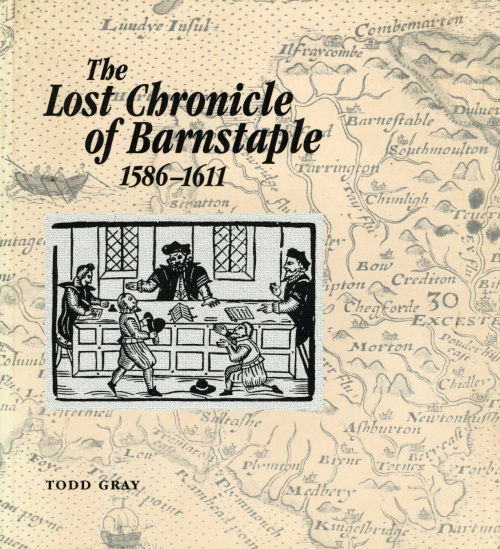 (Includes a sizeable section on the Tiverton lacemakers). Available for £5 from the Registrar.